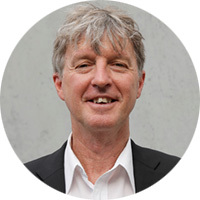 Ian Miller grew up north of Brisbane on Australia’s east coast. He has a broad university background in such divergent fields as Chemistry, Physics, Mathematics, Theology and Education. With a wide range of career experiences, having worked as an Industrial Chemist, Senior High School Physics & Chemistry teacher, and leader of a large, contemporary church, Ian brings a rare combination of worldviews together in his writings. He currently lives in Sydney with his wife, Christine. The Emissary of the Oppressed trilogy is Ian’s first foray into the genre of Sci-fi/Fantasy. In it, he has created a world that challenges the very nature of humanity. Ian is currently working towards moving to the United States where he will complete his new futuristic Sci-fi novel, and write/produce a series of four short sci-fi movies. With his popular Christian Leadership books, Ian is regularly invited to speak at conferences and Christian gatherings. Send me an email or follow me on Facebook to keep in touch.